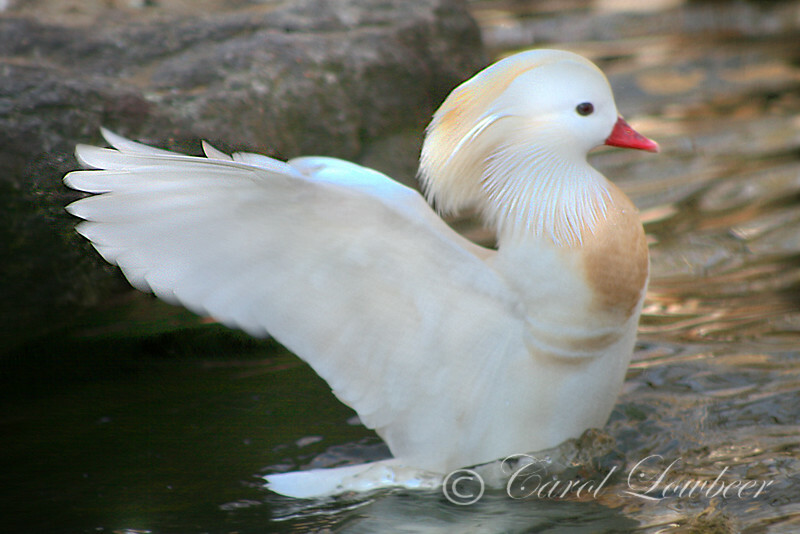 This beautiful white mandarin drake is displaying for its plainer mate who is watching it with great interest! The white mandarins are a mutation of the brightly colored mandarin from China & Asia. Both are considered perching ducks – one of the few duck species with the ability to cling to and nest on trees.